IPU CET cut off 2018 for IPU CET LLB Entrance Exam will officially be released by the university after the IPU CET LLB Results were announced. This IPU CET cut off is different for all participating colleges for the law entrance exam conducted by the Guru Gobind Singh Indraprastha University also known as the IP University. The IPU cut off 2018 scores and IPU CET ranks mean the highest marks and lowest marks scored by the law aspirants in the law entrance exam and highest ranks and lowest ranks attained by the law aspirants in the law entrance exam. Only those students will be given admission who have scored the minimum marks stated in the cutoff and obtained equal to or better than last ranks mentioned in the cutoff. 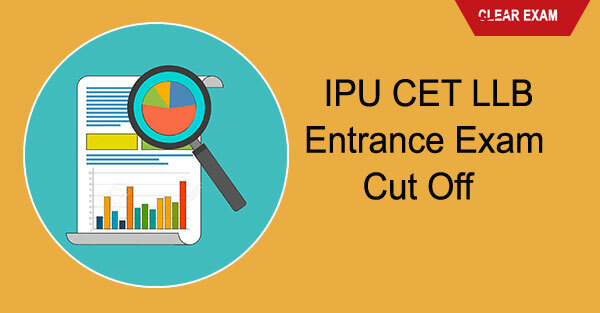 The IPU CET cut off 2018 varies for every year and depends upon many factors, for instance, the total number of applicants, the toughness level of the law entrance exam paper, maximum marks scored, average marks scored, and the total seats available. IPU CET cutoffs vary with colleges and categories of students. Colleges usually take out three IPU CET cut off lists. All students who fulfil the IPU CET cutoff 2018 criterion will be called for counselling rounds. These shortlisted candidates have to appear for IPU CET LLB Counselling along with all necessary documents. · Although all cut offs vary with the year one can still make an estimate about what the cut off will be for this year by looking at the above 2017 cutoffs. First, log in to the official portal called ipu.ac.in. The cut-offs are announced in a phased manner. In the first phase one will see the IPU CET LLB Results and cut-offs, and in the second phase, there will be a cut off announcement by the private colleges. This brings us to an end of IPU CET cut off details and hopes it helped. IPU will release the LLB Entrance Exam Cut off in order to qualify the students for admission into BA LLB (H) course.